Have you been trying to get your life on track? Do you know in your heart of hearts there is more to life than cleaning up the house, but you know until you do nothing will change? And yes… it really is that simple. Get the house cleaned up, get your life organized and everything changes! Things that were impossible become possible, things that you felt were out of reach suddenly become reachable, doable! But I know that cleaning up the house isn’t that simple. 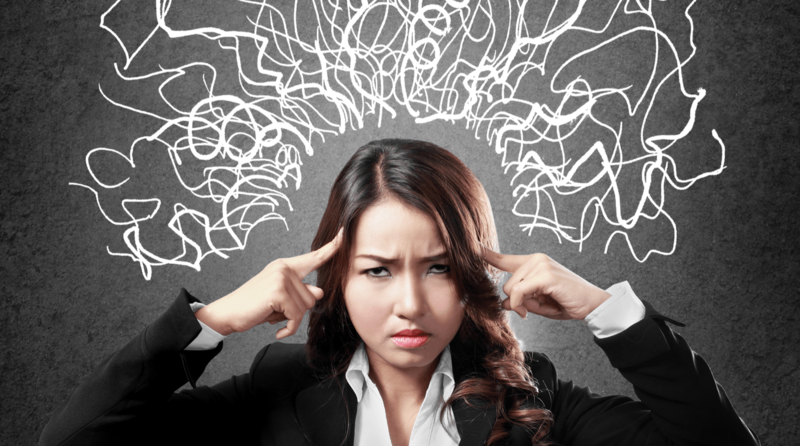 For those of us who are right-brained, it is super hard for us to break things down into small chunks. We see the entire picture and it feels like weights are tied to our feet and hands. We become frozen. How would you like to have me in your home with you for 4 straight hours? How would you like it to be so affordable that you’d be afraid that it was a mistake? That is what I am offering you. Next Saturday at 11am New York time till 3 pm you have the opportunity to hire me for freaking $12.00 an hour. YES! You heard right! The amount of dejunking you’ll get done, the clarity the push to begin and get to things you’ve been putting off will be life altering! You can register HERE. This is an AMAZING time of year to do this! The holidays are just around the corner! Give yourself a head start and an amazing beginning! 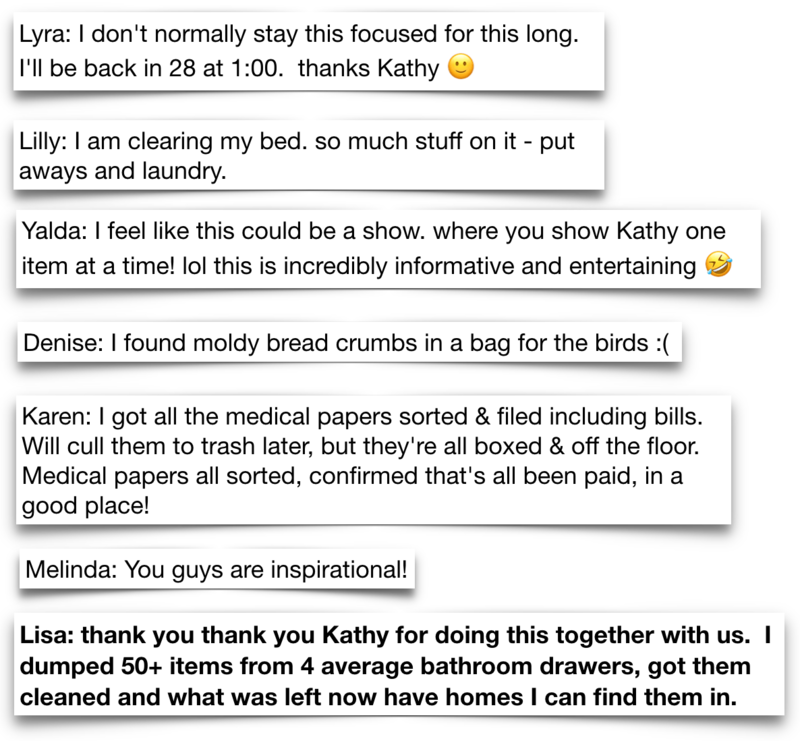 Here is an excerpt from the chat on one of our past declutter day LIVE events. You sign up, then you’ll get a note to register. You’ll get an email with the simple instructions on how to join in on the meeting and on the 13th you just show up. After you register, you’ll get a reminder email and if you have questions, you can just hit respond and I’ll answer any questions you have.